Lifesong’s Final Impressions: Resolution in the face of an uncertain future is something that I think everyone struggles with at one point or another in their lives. When your passion is for an oversaturated field and your talent isn’t what it needs to be to pull ahead, do you give up or forge ahead? Sakurasou was a good drama with some fantastic moments, cute romance and a healthy dose of comedy. It told a story about becoming an artist and the harsh realities that entails. Sure it was filled with feel good moments as well but its artistic theme never pulled its punches and because of that never lost its impact. 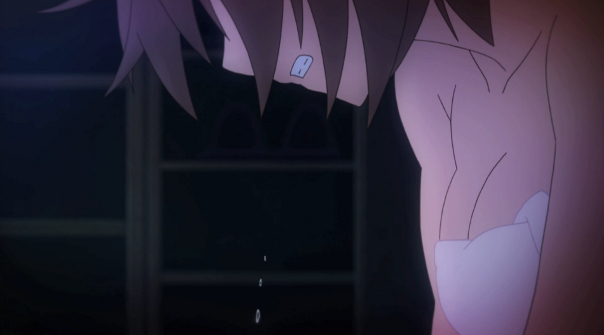 The troubles of a struggling artist are beautifully captured here and Sakurasou deserves credit for that. Plan C, assassinate the competition. The biggest weakness of Sakurasou is that it is a bit meta. The novelty of Sakurasou; the thing it does to set itself apart, is telling a story close to the heart of the person writing that story. 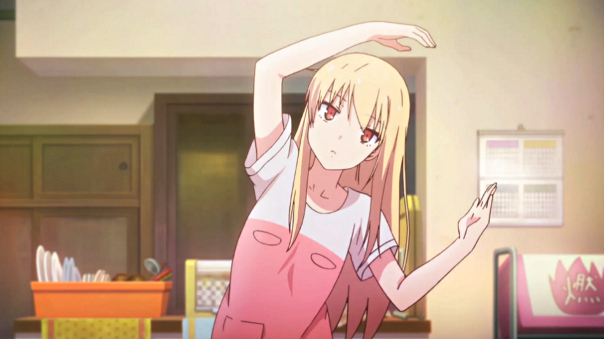 That said, Sakurasou manages to feel authentic for the same reason. Overacting is another concern but it is something I personally enjoy. I find it is uncool to admit that high strung high tension characters acting dramatic and balling their eyes out is never a popular thing in anime, even when people like it but I for one will go on the record saying that I loved the “over-drama” this series had on display. Romance is the secondary fuel of Sakurasou and never falls far from the motivations of the cast but despite it’s central nature in the plot, it’s never the driving force. While the romance is sweet, it may leave some people unsatisfied. In reading other blogs I’ve found that this secondary fuel to be of much greater importance to viewers than it’s story about art. Of course, some of that boils down to what I am going to call “waifu politics”. The ending given in the anime left room for wild misinterpretation by fans of the rejected heroine. Personally, I am okay with way it was handled. The losing heroine was put down as gracefully as possible which is something she deserved and I appreciated. One of the strongest aspects of Sakurasou is how likable the cast is. Even the mundane characters like the protagonist’s sister serve the plot well and become likable by the end. The many characters and their individual stories have parallels that follow the same themes. One of the more potent of those parallels, dealing with feelings of jealousy and frustration at those with talent and how lonely the people with talent can become because of it, is central to the story. The way these work together and build up to resolution is a beautiful thing. At the end of the day, Sakurasou managed to be a top class drama I would recommend to anyone who enjoys drama or is interested in the pains of becoming an artist. The many personality conflicts of the story make up events that all build upon the world of art. Even the friendships built throughout this series are done in a way that never fails to support the themes of becoming an artist, overcoming the obstacles of talent and relating to other artists. Sometimes love has to be put in second place. Marlin’s Final Impressions: I did not love Sakurasou to the extent Life did. Despite that, I was still able to appreciate its story. I think the biggest problem I had was that I came into Sakurasou expecting it to be a total romantic comedy, and ignored it for the underlying message about talent it had to tell. Once the big bombshells started to drop and people’s feelings got hurt I really started to appreciate the story for telling a no-holds-barred depiction of how difficult it is to thrive in the entertainment industry. Unfortunately, I cannot hold the romance to the same esteem. It could simply be because it was handling these characters as the peculiar artists they were, but I just couldn’t relate with the motivations of these characters. Jin was the worst offender, wasting more than one episode with this weird concept of supposedly loving Misaki and yet not wanting to be with her, either due to not wanting to defile her or knowing they wouldn’t be together in the future. That secondary worry just never registered to me, I know in anime the common theme is to just have people come together and live happily ever after, but would it kill some of them to realize that breaking up is also a part of relationships? If it didn’t work between them, then they would not have been together, not the end of the world, and if they were able to get through time apart then everything would work out fine. Nanami was simply frustrating to watch, the kind of hopelessly shy character that grated on my nerves with every blush and squandered opportunity. For when you fail so badly that a facepalm isn’t enough. I did at least understand why the core romance played the way it did. Mashiro is simply just unaccustomed to people even spending time with her, let alone being attracted to her. 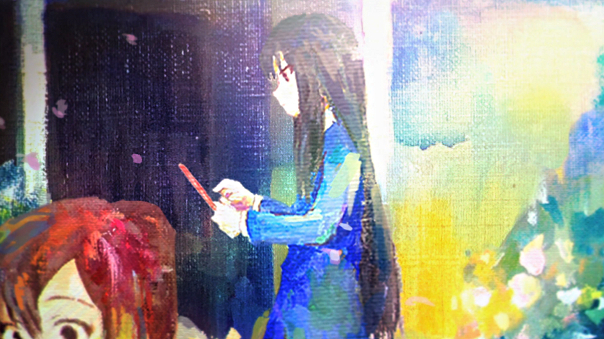 Sorata had his own problems as well, with failure breeding jealousy and frustration. It really made sense that it took time for their relationship to fully mature. I have always noted how much I both hated and loved Sakurasou, and now that I have finished it the same feelings remain. I found its characters melodramatic and some of their motivations unrealistic. At the same time, I came to appreciate it for what it was trying to express. 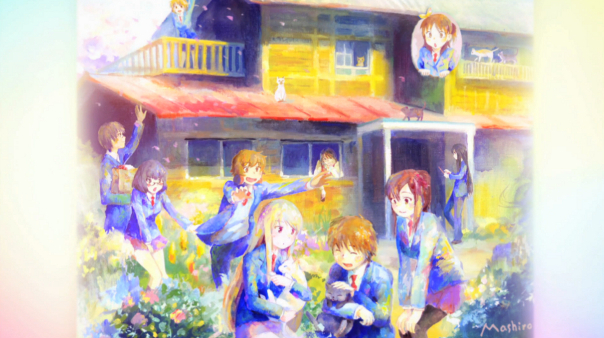 With a new crop of students at Sakurasou, it’d be within reason if they someday make a sequel. Would I watch it? Yes. Would I finally enjoy it? Who knows. ” pains of becoming an artist” While true, It’s also true for being that are not becoming artists. Just being around people who are more successful than you is painful. This is the exact reason I related to Kanda so well. I felt his pain. I understood his issues. For that reason I really enjoyed this anime and I felt like I had something to take back from it, but in the end the honest truth in life is that sometimes no matter how hard to work, things don’t work out. And I kind of wish they ended on a sadder note than they did. Jin’s romance crap was really annoying though. I think I am one of the few people who liked the Jin/Misaki relationship. Most anime bloggers I’ve read call it forced or out of character. Personally, I loved it for being genuine. I think the idea with Jin was that he didn’t just want Misaki’s affection. He felt like he needed to earn a place by her side, which is why he couldn’t respond to her advances. Jin didn’t want to be Misaki’s lover, he wanted to her companion. 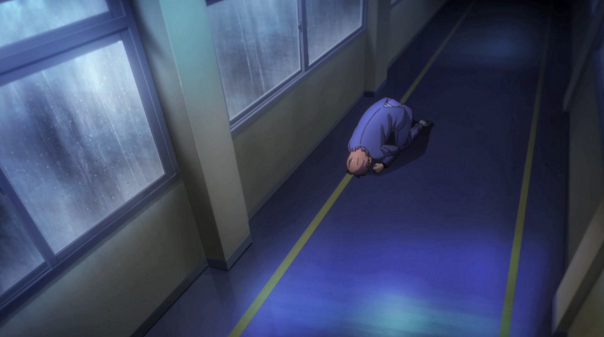 I find the complication in the Jin/Misaki relationship intriguing. I can empathise with a romantic partnership that starts on unequal footing. It was at least to me, very fairly explored in that while two individuals had affections for one another, one was clearly inferior to the other in skill – and overcoming this difference to the comfort of both parties such that love can find its appropriate place in a working relationship. The one real-life parallel I can think of to this writer/artist dynamic is the one between Neil Gaiman and Amanda Palmer, though in this case both were successful in their careers, and were could work on projects together as partners bringing their own strengths to the fray, and not say, having one side of the partnership being less than stellar. I just feel like that’s an unnecessary pillar to put between yourself and the one you love. It hardly ever is the case that two people who want to spend the rest of their lives together have exactly equal footing in their level of skills. I guess most people don’t happen to marry someone in such a similar line of work, but even then you can acknowledge your shortcomings without despising or feeling unworthy towards the one you love if you truly care about them.